Can You Be Held Personally Liable for Business Debt in Florida? Starting, building, and growing a business is a great way to support yourself and your community. Of course, owning a business is not without its risks. As any business owner can tell you, not every opportunity works out as planned. It is crucial that Florida business owners know how to protect their rights and their personal financial assets should something go wrong. There is some confusion over whether or not people can be held personally liable for business-related debts. In practice, it depends entirely on the structure of the company and the nature of the specific circumstances that are in question. 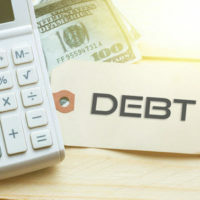 Here, our West Palm Beach business litigation lawyers offer a quick guide to help you know if you can be held personally liable for business debt. With a sole proprietorship, there is no real legal difference between the business entity and the individual. Sole proprietorships, while simple and inexpensive, do not offer any protection from financial liability. If you operate a sole proprietorship in South Florida and you incur business debt, your personal assets are not protected from creditors. You can be held personally liable for that debt. Much like a sole proprietorship, a partnership does not offer liability protection. These are pass through entities. All general partners are legally liable for the debt incurred by the business. Should something go wrong, the partnership offers no protection for your personal assets. A creditor could go after you personally for the partnership’s debt. Notably, this is only true for general partners. Limited partners may not be exposed in the same manner. Ultimately, the terms of your partnership agreement matter. Corporations and LLCs offer individuals personal protection against liability for the company’s debts. As a general rule, LLC owners cannot be held personally liable for the debts of the business. However, there are some exceptions to that rule. First, if any LLC owner or corporate shareholders personally cosigns or otherwise guarantees a business debt, then the liability protection evaporates. If you personally cosign a debt, you can be held personally liable. There was improper commingling of business and personal assets. At Pike & Lustig, LLP, our West Palm Beach business law attorneys are strong advocates for our clients. No matter the unique circumstances of your case, we ready to help. If you have questions about potential personal liability for business debt, please do not hesitate to contact our law firm (offices in West Palm Beach and Miami) for a fully private consultation.